Note that the triangle above is only a representation of a triangle. Your triangle may look different. However, all it takes to find the area is to enter the lengths of a, b, and c.
If the area = 0, this means that the lengths you entered gave a straight line instead of a triangle. 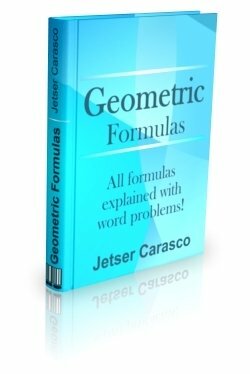 Buy a comprehensive geometric formulas ebook. All geometric formulas are explained with well selected word problems.